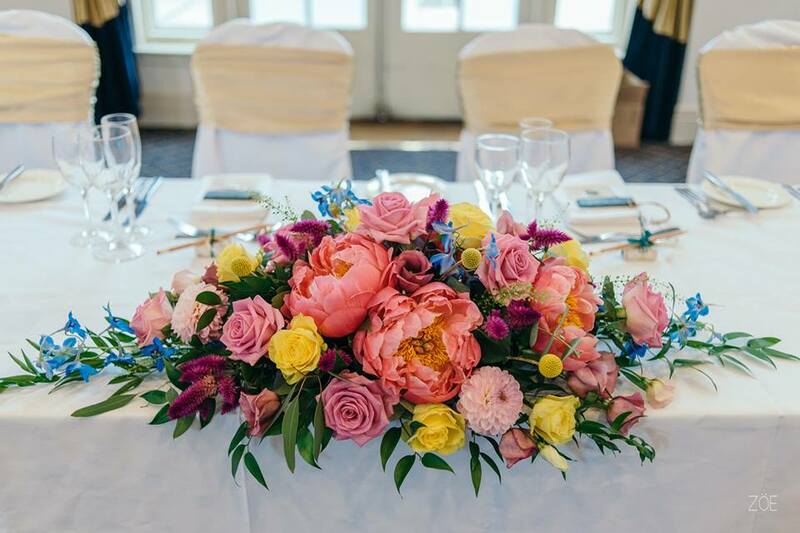 Rachel and John were married at the stunning Balbirnie House Hotel on 31st July 2015. 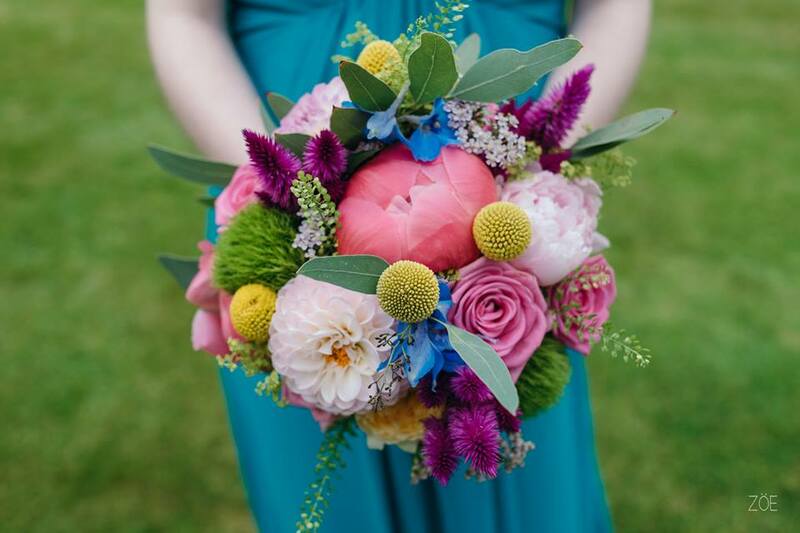 Rachel wanted a mix of bright colours and textures for her flowers and I loved every minute, from planning the flower varieties through to delivery and set up. 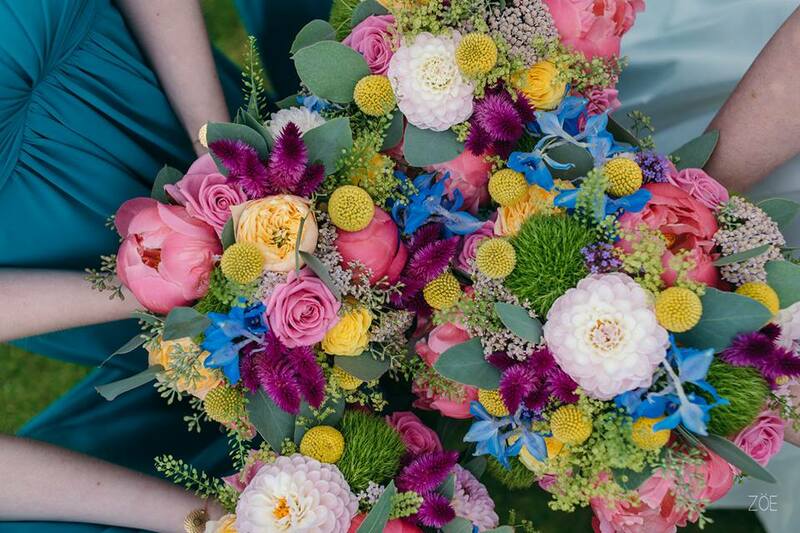 We managed to get the most amazing coral peonies along with roses, celosia, green trick dianthus, craspedia, delphinium, dahlia, eucalyptus and thlaspi. 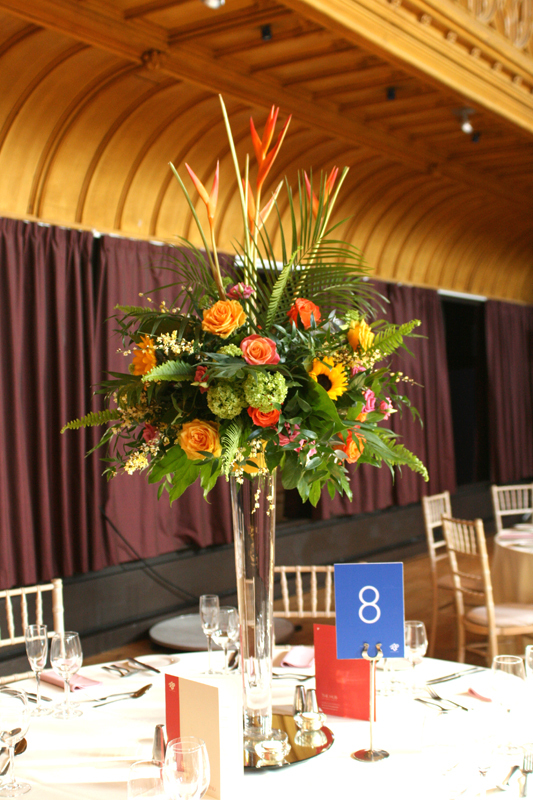 We filled jugs with flowers for the table arrangements and created a large pedestal arrangement for the ceremony room. 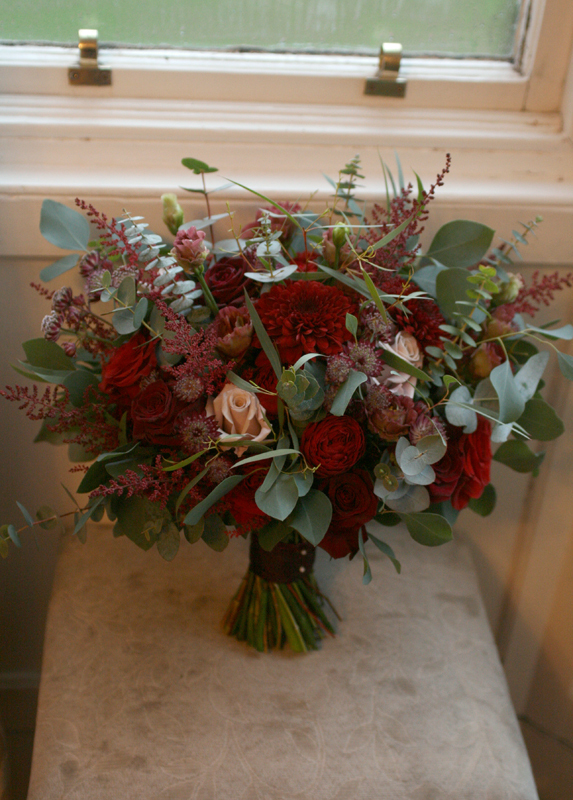 I am delighted to share these gorgeous images from Photos by Zoe who is based in Fife. Have a look at Zoe’s website and facebook page for more of her stunning photography. Butterfly Wedding Films also created a beautiful film of their wedding day which you can see here. I recently received a card with this lovely message from Rachel and John, thank you very much, you made my day!